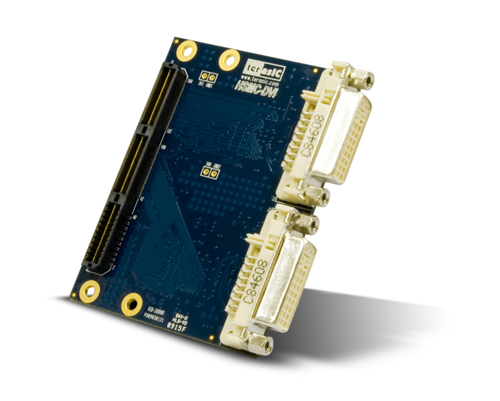 The Terasic DVI-HSMC is a DVI transmitter/receiver board with a High Speed Mezzanine Connector (HSMC) interface. It is designed to allow developers to access high quality and high resolution video signals that support UXGA Resolution (Pixel Rates up to 165 MHz). It gives the flexibility required in high resolution image processing systems by combining both the DVI transmitter and receiver onto the same card. Lastly, the DVI-HSMC daughter board can be connected to any HSMC/HSTC interface host boards.